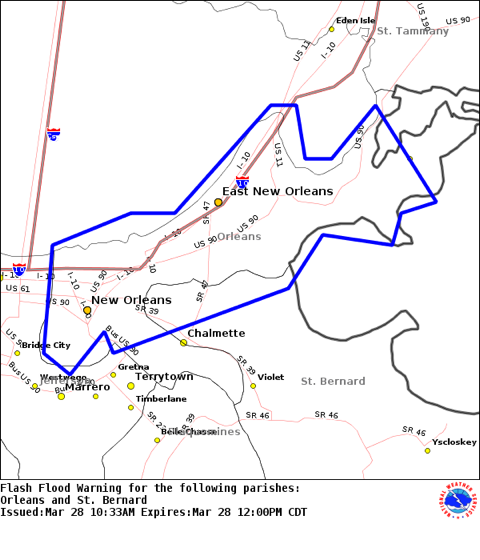 Orleans and St. Bernard Flash Flood Warning area. Update, 1:05 p.m.: Flash Flood Warnings remain in effect through 2 p.m. for Orleans, Plaquemines, Jefferson and St. Bernard Parishes. The National Weather Service's New Orleans office has issued Flash Flood Warnings for much of the metro region. The warnings are in effect until 12 p.m. Central Time. 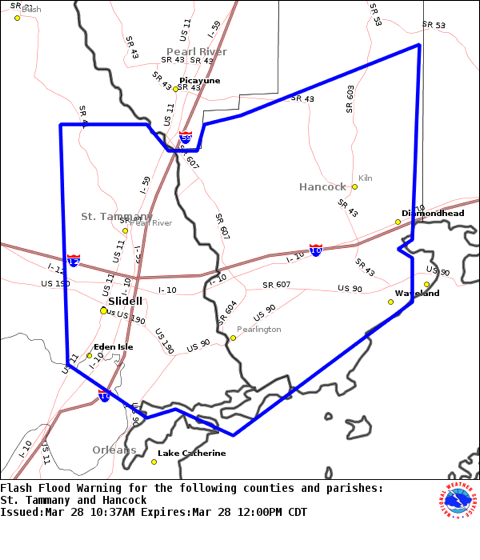 Map detailing areas under a Flash Flood Warning in St. Tammany Parish and Hancock County, MS. Heavy rain has been falling throughout the New Orleans region since last night, prompting emergency warnings from local officials. Sporadic street flooding has been reported, especially on the Northshore — the NWS says 2.24 inches of rain fell in Slidell in an hour and a half period. The NWS says a strong line of thunderstorms, with frequent lightning, is moving east through the metro region at about 20 m.p.h. and are capable of producing wind gusts near 40 m.p.h. Gusts of that strength can down tree limbs and blow around small unsecured objects. The NWS is urging people in the affected area to take shelter as the storms pass. Heavy rainfall of one to two inches is expected in a short period of time, resulting in ponding of water on low-lying roadways and underpasses.  Stay tuned to 89.9 FM for more information as it becomes available.